Divyansh Mankotia and Divyansh Singh, school toppers from Non medical stream got admission in PEC, Chandigarh in Electronics & Communication Engg. & Computer Science. Gautam Pathania took admission in Mechanical Engg in CCET, Sec 26, Chandigarh. Around 10 students are in Chittkara Engineering College for Computer Science. 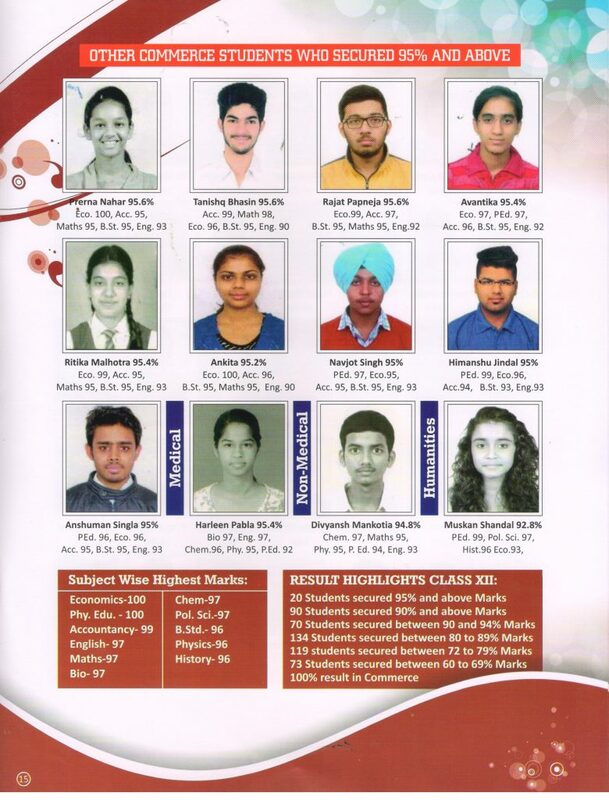 Our medical toppers, Herleen Pabla and Anshul got admission in GMCH, Sector 32, Chandigarh. Commerce topper Arjun Goyal took admission in SRCC, Delhi. 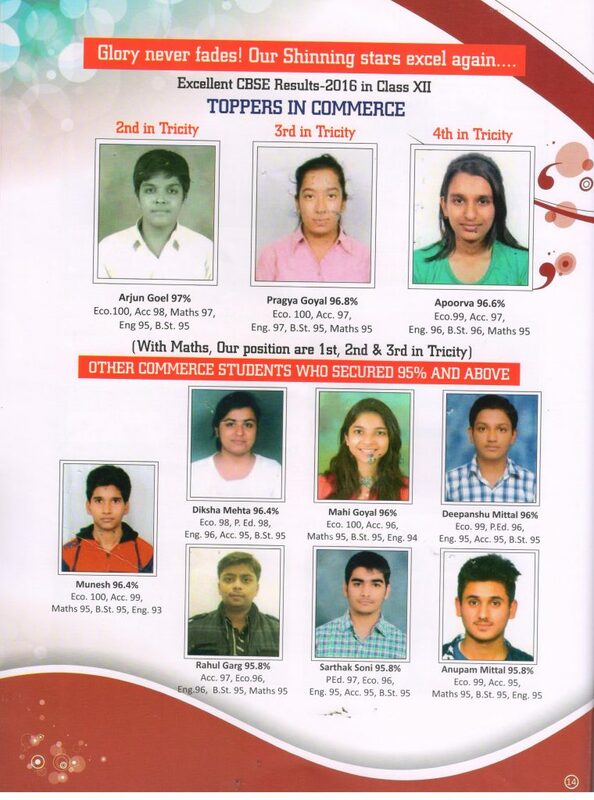 5 students of Commerce toppers took admission in reputed colleges of Delhi.